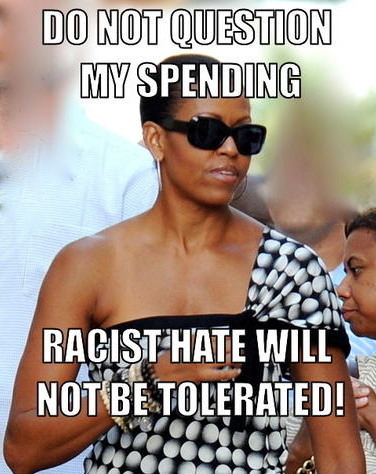 If ‘racist’ means that I abhor the spending obummer and his family have indulged in since 2008…all on the Taxpayers’ dime…then I’m a racist. If ‘racist’ means that I’m against having a president who is not Constitutionally eligible to sit in the presidential seat, then I’m a racist. 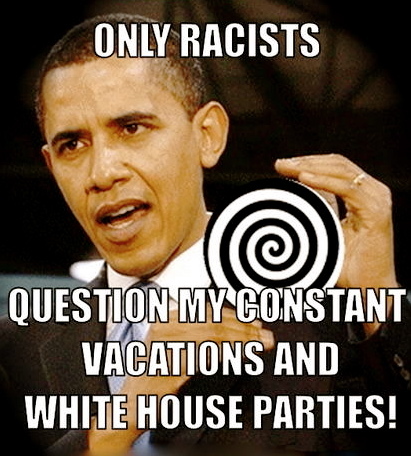 If ‘racist’ means that I’m sick and tired of obummer’s pretty speeches while our economy continues to crash…and Americans continue to be unemployed…then I’m a racist. If ‘racist’ means I’m furious that obummer refuses to close our borders and to stop funding sanctuary cities…and continues to fight for amnesty for these Border Jumpers…then I’m a racist. If ‘racist’ means that I’m against a president who uses his Executive Priviledge far beyond what our Constitution allows, then I’m a racist. 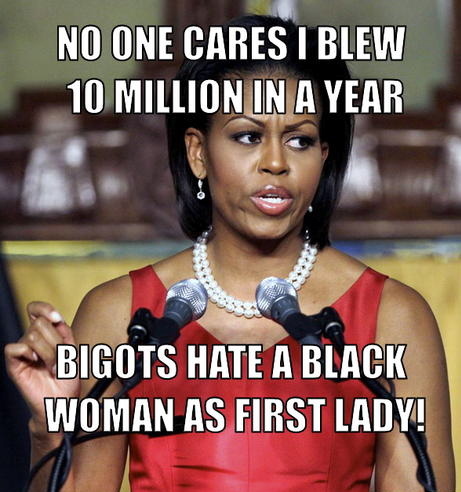 As far as his and Michelle’s skin color goes…who has time to even look at it as an issue! It’s not their skin color that is wrecking our country. It’s their ‘computers’ (brains). Personally, I pray to be able to vote Herman Cain into the presidential seat in 2012! Why? Because his ‘computer’ is intelligent, pro-U.S.A. and our Constitution, pro-LEGAL immigration, business-savvy, and realistic regarding what can be attained in both the short haul and the long run. In my opinion, we do not need another politician in office! We need a Business Leader with an excellent business track record…and, for me, that person is Herman Cain! What’s his skin color? WHO CARES!!! Well said as always M J katz The Writer! 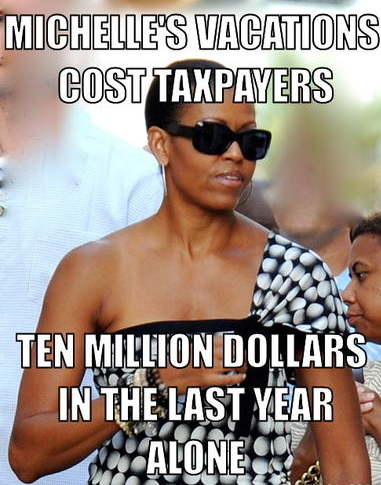 This entry was posted on August 25, 2011 at 12:59 am and filed under GOSSIP!,politics,president obama,Uncategorized. You can follow any responses to this entry through the RSS feed.